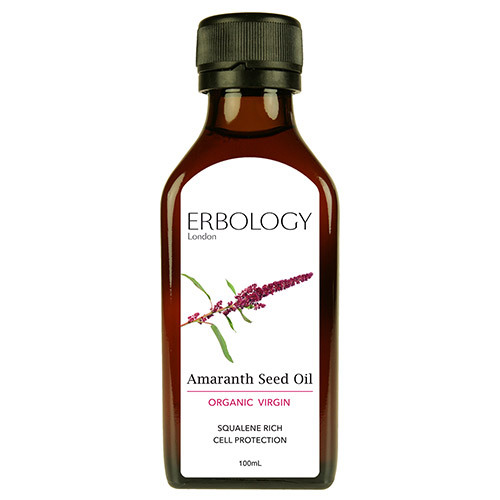 Erbology Organic Virgin Amaranth Seed Oil helps protect the body from damaging free radicals as well as turn dull and tired-looking skin into glowing, moisturised skin. Amaranth seed oil is loaded with squalene. When squalene and water fuse, oxygen is released into the body’s most remote cells to stimulate natural metabolism and boost immunity. An incredible 12% of overall bodily squalene content is secreted through the skin. Amaranth seed oil contains 10x more squalene than extra virgin olive oil. Erbology cold press their organic amaranth seeds to extract this precious oil, not only rich in squalene, but also in vitamin E and omega-6. Their amaranth seed oil has a delicate, pleasant aroma. Enjoy a spoonful of this precious oil in salad, porridge, yogurt or a smoothie! As a dietary supplement, one tablespoon per day. Add to smoothies, porridge, dressings or yogurt. Below are reviews of Erbology Organic Virgin Amaranth Seed Oil - 100ml by bodykind customers. If you have tried this product we'd love to hear what you think so please leave a review.